Avtar Singh Sandhu, popularly known by his nom de plume, Pash, was arguably the most influential political Punjabi poet of the 20th century. His works include Loh-Katha (Iron Tale, 1970), Uddian Bazan Magar (Following the Flying Hawks, 1973), Saade Samiyan Vich (In Our Times, 1978), and the posthumously published collection Khilre Hoye Varkey (Scattered Pages, 1989). Pash was born in the village of Talwandi Salem in Jalandhar, Punjab, on September 9, 1950, when the region was still recovering from the aftermath of partition. It can be said that poetry was in his genes as his father, Sohan Singh Sandhu, who was in the Indian Army, wrote poetry as a hobby. A product of his time and the active Naxalite movement around him, Pash’s poetry always had political overtones akin to the verses of poets such as Faiz Ahmad Faiz, Bertolt Brecht, Yiannis Ritsos and Mahmoud Darwish. This was evident right from his first poetry collection—which he published at the young age of 20—up until those written during his last days. The play of these hands. After his release from jail, he came across the works of Russian revolutionaries, Marxist theorists and Soviet politician Leon Trotsky. In Pash: The Poet and Man, Gill writes, ‘Trotsky renewed Pash’s view of revolutionary poetry. It was now Pablo Neruda with his autochthonous poetry who embodied for him the image of a revolutionary poet.’[iv] He was deeply influenced by the writings of Maxim Gorky as well. Inspired by Gorky’s Russian novel Mother, he decided to call himself Pash, after the working-class character Pasha. is made by dropping bombs. could be the highest seat. In 1986, he moved to America after he received death threats from pro-Khalistan militants. However, that did not stop him from expressing his views against religious fanaticism and the idea of creation of another nation-state. While he was in the US, he brought out a journal called Anti-1947, where he criticised the Sikh extremist violence during the 1980s. He came back to Punjab for a brief period to renew his visa. On March 23, 1988, he was gunned down by militants en route to New Delhi. Even though it has been more than three decades since his death, his ideas, and his fierce and fearless poems continue to be read and recited. Today, his most famous poem, Sab Ton Khatarnak (The Most Dangerous Thing, 1989), has become a poem of resistance and protest that is recited time and again to remind one what the ‘most dangerous thing’ is. Being looted of one’s labour is not the worst thing. Are not the most terrible. Even when one knows one is right is no doubt bad. Going through life with a frown are also no doubt bad. But they are not the worst. To become a creature of routine. [i] Tejwant Singh Gill, Pash: Makers of Indian literature, (New Delhi: Sahitya Akademi, 1999). 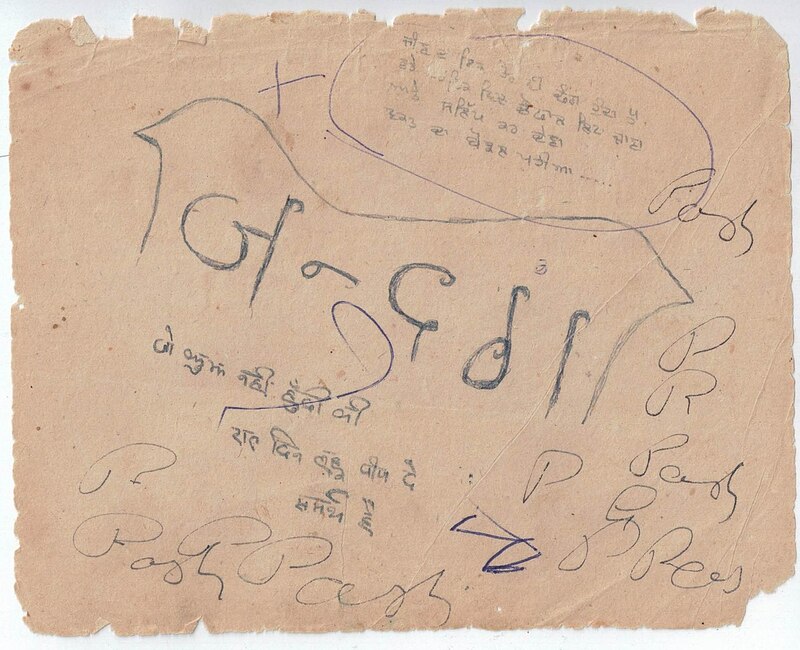 [ii] Tejwant Singh Gill, ‘Pash: Man and Poet’, Manushi, no. 112, 18–23. [iv] Tejwant Singh Gill, ‘Pash: Man and Poet’, Manushi, no. 112, 18–23.